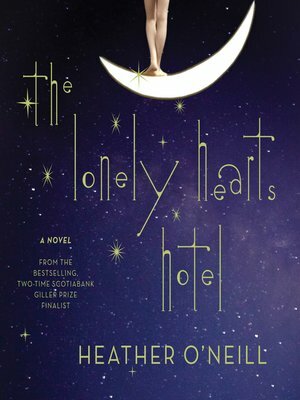 The internationally acclaimed author returns with a stunning national bestseller in The Lonely Hearts Hotel. Exquisitely imagined and hypnotically told, it is a love story with the power of legend. Separated as teenagers, both escape into the city's underworld, where they must use their uncommon gifts to survive without each other. Ruthless and unforgiving, Montreal in the 1930s is no place for song and dance, depicted by O'Neill as "a voyage across Montreal, from realms of innocence and districts of longing to zones of cruelty" (National Post). When Rose and Pierrot finally reunite they'll go to extreme lengths to make their childhood dreams come true.